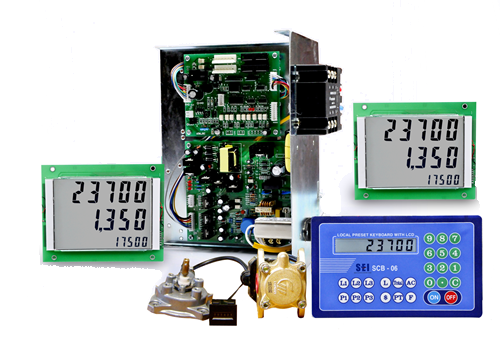 Electronic totalizer has adopted embedded system chip, membrane-protected keypad,solid-state electronic switch, real-time intelligent calculation and userfriendly interface. The totalizer features stable performance,accurate metering,good anti-electromagnetism and allowance for broad voltage variance.The totalizer is easy to operate without consulting handbook. The totalizer has been salable the most reliable component of fuel dispensers since it was launched into global market five years ago. If need the configuration of printer please add postfix "P" advisement driver, postfix "L" adapter, "R" Take S20-G/P/L/R for example, it contains printer, ad driver and adapter.